Ansel Adams (1902 - 1984) is generally considered to be the greatest landscape photographer of all-time in the art world. Landscape photography does not get much attention in the mainstream art world due to an institutional bias against perceived “populist art” with the exception of long-deceased black and white photographers such as Ansel Adams. Adams is best known for his now-iconic black and white landscapes of the American West especially Yosemite National Park. Many of his most famous photos have influenced legions of photographers in the years since. A large part of Ansel Adams’ appeal was his masterful darkroom processing technique. I own several Ansel Adams books and have seen his prints in various museums and galleries over the years; and I’m amazed by how unremarkable his original film negatives were. The exposure and lighting in the original film often looked nothing like the end print. The true magic in Adams’ work was pre-visualizing the results in the darkroom. He spent a lifetime perfecting a handful of his top prints so it’s fascinating to see the evolution of these prints through his lifetime. Ansel Adams philosophy toward his art is perhaps best summed up in his famous quote, “The negative is comparable to the composer's score and the print to its performance. Each performance differs in subtle ways.” Since his passing in 1984, his former apprentice Alan Ross, is the only person authorized to produce official Ansel Adams prints. Clearing Winter Storm, Yosemite National Park, California (1944) - This is the best Yosemite Tunnel View photo ever produced in my opinion. No one has done it better since. Tetons and Snake River (1942) - I own an inexpensive copy of this print. It hangs directly above my office computer for inspiration. 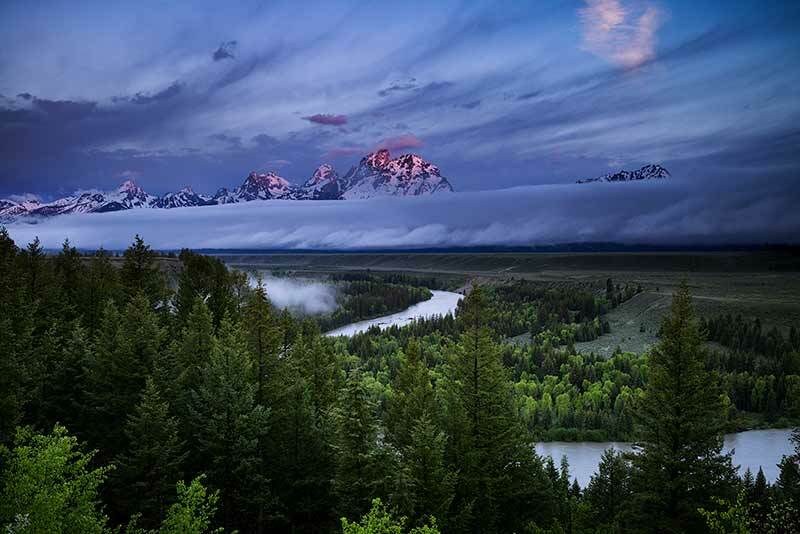 Though the scenery is still stunning today, the trees in this scene have all but obscured the view of the Snake River. Moonrise Over Hernandez, New Mexico (1941) - I believe this may be Ansel Adams most famous and best-selling print. I’ve never really understood the appeal of this one to be honest; the composition doesn't grab me at all. The other pieces mentioned here are better photos in my opinion. The print is noteworthy for how much darkroom manipulation was needed to produce this look. Monolith, The Face of Half Dome, Yosemite (1927) - according to Adams’ biography this was one of the aha moments where he started to understand the power of pre-visualization. Winter Sunrise, Sierra Nevada from Lone Pine (1944) - one of the most breathtaking Ansel Adams prints in my opinion. I recall first seeing this print in person at the Ansel Adams Bellagio exhibit in Las Vegas. The print is notable for the masterful dodging and burning technique. The words, Lone Pine, were burned out of the hills in the final print. The spotlight on the grazing animal is truly special. While lower-cost print reproductions can be purchased for reasonable prices at places like the Ansel Adams Gallery in Yosemite, official prints by Adams himself are understandably in limited supply given that he passed away more than 30 years ago. The prices for an Adams original print are cost-prohibitive to all but the extremely wealthy. 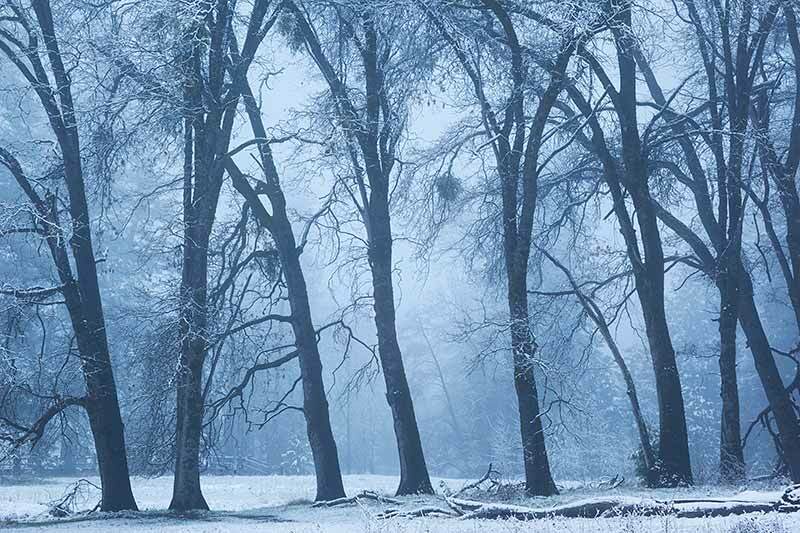 The most expensive of which ("Clearing Winter Storm") was reported to have sold an auction house for $722,000. I don’t know of anyone personally who owns an original Ansel Adams print - I’d probably be too scared to display it in my house even if I could afford one. 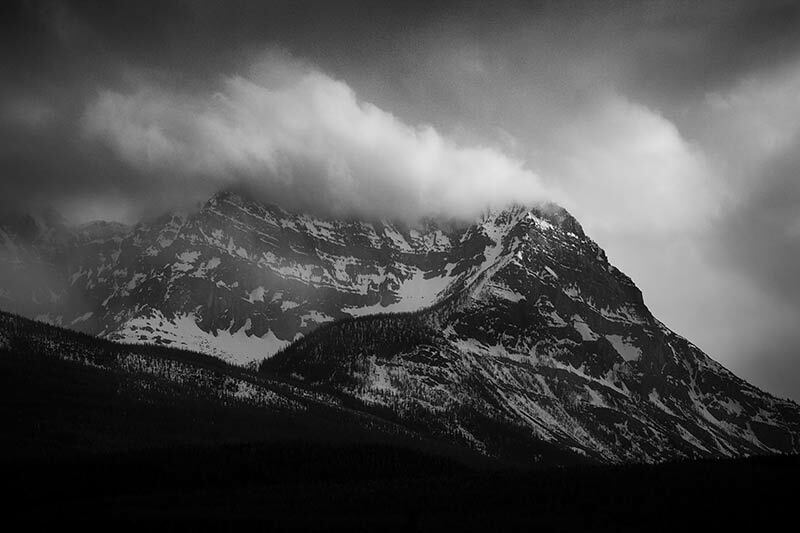 The good news is that while I’m not Ansel Adams, you can purchase my prints for a lot less money. Landscape photography is my specialty and I’ve devoted much of my adult life to creating the best photography that I can both in the field and in the digital darkroom. I print on archival-quality papers from the best print labs in the industry.